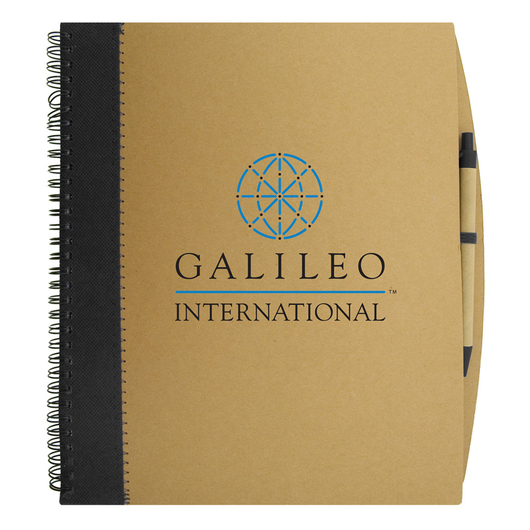 Featuring a heavy duty cover and black stripe these notebooks are an excellent ambassador for your brand. 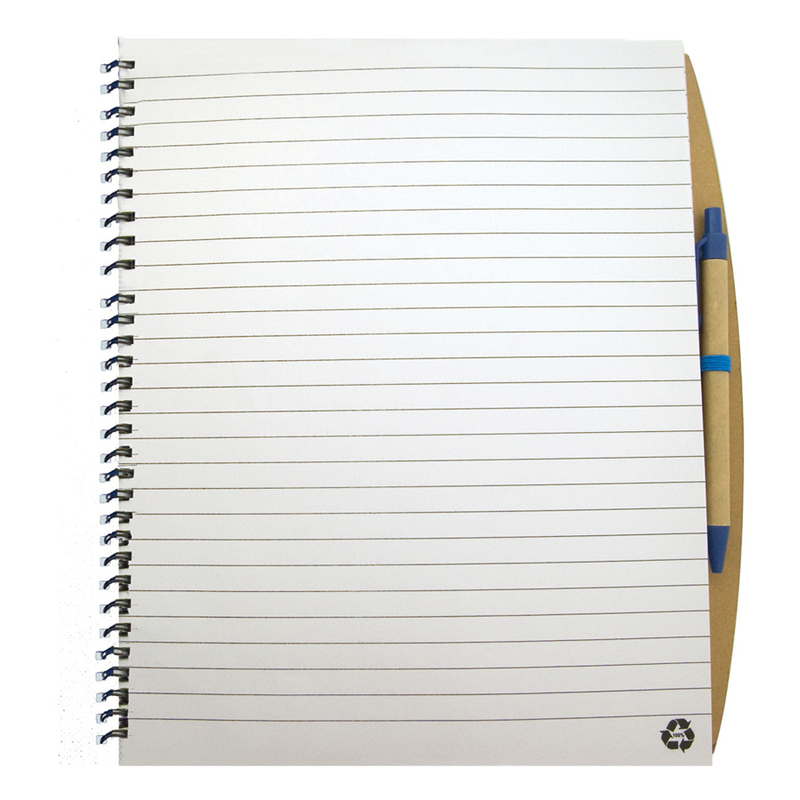 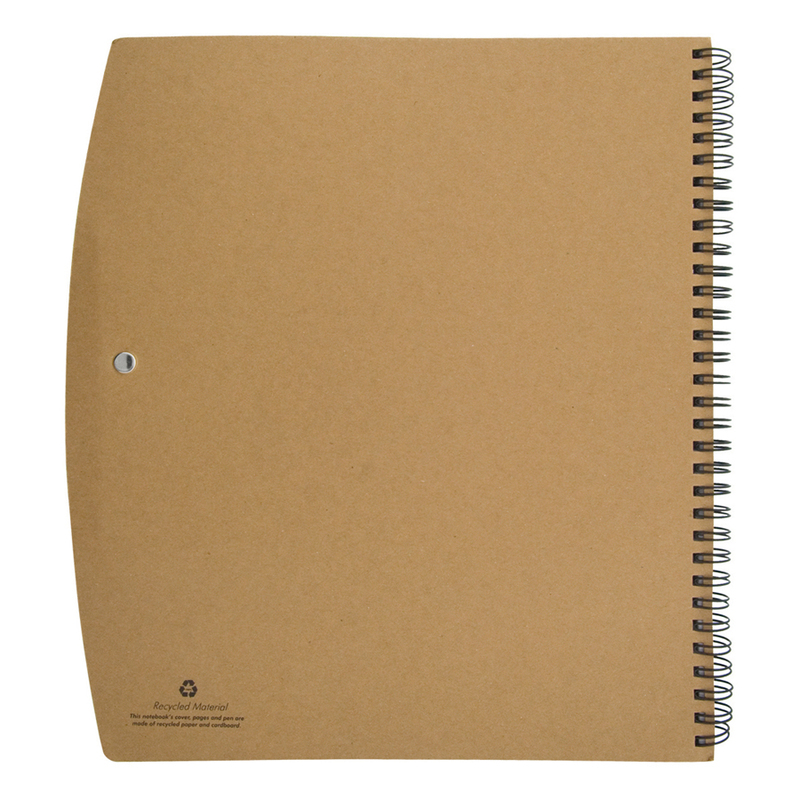 The Carlton comes with a heavy duty cardboard cover and 70 pages of recycled lined paper. It has a black stripe made from recycled non-woven material on one side and comes with a blank black ink pen that's also made from recycled paper. 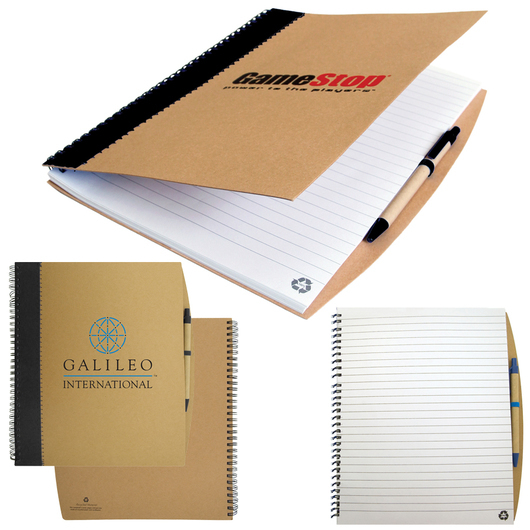 A great eco friendly promotional product that shows your target demographic you are making a difference.